Buying a new home is one of the largest investments you will ever make, which is why it’s important to ensure your home comes with protection. 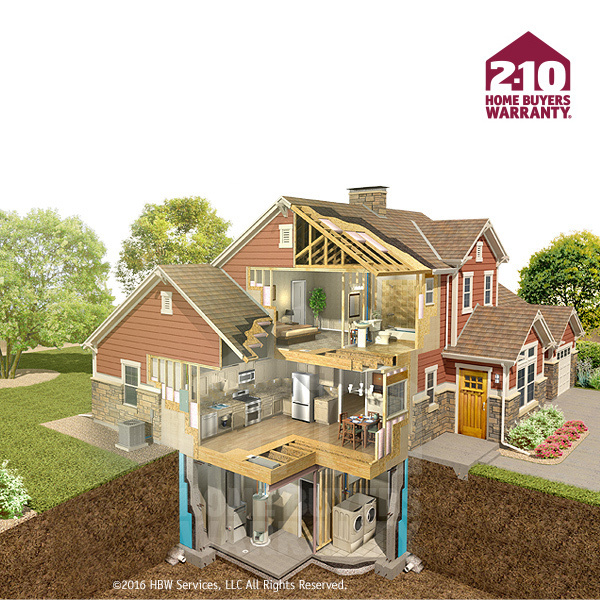 As a 2-10 Home Buyers Warranty® (2-10 HBW) builder member, (Your Company Name Here) provides every home we build with 10 full years of structural home warranty protection from the nation’s leading home warranty company. 2-10 HBW only accepts the best builders into their program. To become a member, (Your Company Name Here) went through an extensive screening process that measures our building practices against strict underwriting guidelines to ensure we maintain a high-quality product in addition to a careful inspection of our workmanship. that explains what is covered as well as a maintenance booklet to give you tips on how to care for your home. In addition, the warranty is fully-transferable, which increases the resale value of your home. electrical, plumbing, heating, cooling, ventilating, and mechanical systems.